American businessman Tilman Fertitta has undoubtedly made a windfall of fortune with his flourishing business. So, how does he put his overflowing net worth to use? 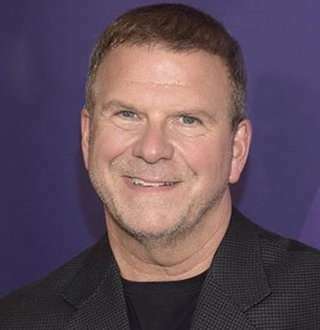 Tilman Fertitta is a billionaire businessman and TV personality who is known to own the National Basketball Association’s Houston Rockets. He is also the sole owner of the largest restaurant corporations in the US, Landry’s, Inc.
Tilman is also the star of his own reality TV show, Billion Dollar Buyer that premiered on 22 March 2016 on CNBC. Generations after his family emigrated to Texas from Sicily, Tilman Joseph Fertitta was born and raised in Galveston. He used to peel shrimp in his father’s seafood restaurant on Galveston Island after school. Tilman, age 61, attended Texas Tech University and the University of Houston studying hospitality management and business administration while he experienced his first entrepreneurial step by selling and promoting Shaklee vitamins. Making a name in the business industry, Tilman was a partner in the first Landry’s Restaurant, Landry’s Seafood that opened in 1980. He helped open another restaurant, Willie G’s Seafood & Steaks and gained control of both locations in 1986 which resulted in him becoming the sole owner of Landry’s Restaurants in 1988. Tilman doesn’t limit his hands to restaurants as he owns several hotels and casinos as well. More than that, he actually invests in sports to the extent of purchasing the Houston Rockets from Leslie Alexander for an NBA record of $2.2 billion. It might not come as a huge surprise to learn that Tilman has been married for a long time with his wife, Paige and they share four kids, a daughter Blayne and three sons, Michael, Patrick, and Blake. And Tilman has made sure to let people know of the affection that he shares for his family. And unlike what people think of Billionaires spoiling their children, Tilman sends his kids to work every day. In fact, his two oldest sons act as directors of the Houston Rockets. So yeah, they’re not that spoiled. Well, Tilman did decide to give his fortune to his kids instead of delving into philanthropic purposes, but he has assured that his kids are not spoiled and that they’re capable of making their own decisions with the wealth. But at special occasions, Tilman doesn’t forget to drop massive events with his family at their holiday-decked River Oaks house. He is a billionaire after all. Did we tell you that Tilman doesn't even have a track of the houses he owns? Yeah, that pretty much shows how filthy rich the guy is. Where Does Tilman Fertitta’s Net Worth Go? For a billionaire, it shouldn’t come as a surprise to learn that Tilman Fertitta carries an estimated net worth of $3.8 billion. He has even got a 164-feet long, 31-feet wide and nearly 500-ton yacht, The Boardwalk. That is no ordinary yacht, right? And the $40 million yacht has got 12 bedrooms, 15 bathrooms, huge salons, and a first-class chef’s kitchen with warming drawers, steamers, and walk-in fridge and freezer. The Boardwalk shows off multiple decks, lounge, scooters for land excursion and a helicopter pad, just in case. Enough about the luxury yacht, did we mention that the billionaire opened another grand hotel? The Post Oak, Houston’s newest luxury hotel, is quite an impressive facility that clearly shows that its owner has spared no expense in bringing the project to its height. In fact, Tilman’s son, Patrick even described The Post Oak as a ‘generational’ asset that the family wills to hold onto for a long time. Anyway, Tilman has shown no hesitation to hide the fact that his wife and kids are surrounded by his $3.8 billion net worth, and we hope his children make good use of the fortune, growing their skills just like their father.